Moving away from its previous tapas concept under Michelin starred Chef Carles Gaig, La Ventana at Dempsey Hill has rebranded itself as an equally star-studded fine dining Spanish restaurant, serving dishes by their new Espanol chef-consultants Chef Roberto Terradillos (El Serbal restaurant in Santander) and Toni González (El Nuevo Molino, Puente Arce, Santander). No tapas? Well, the owners feel that the market is ready for Spanish fine dining and we couldn't agree more. I've been mourning the closure of Santi since 2012 and there hasn't been anyone to break me out of that depression. Over at La Ventana, while they have done away with the tapas sharing concept, they do still have Spanish classics like Jamon y Pan con tomate, croquettes, calamari, and a couple of paellas. However these are presented fine dining style. 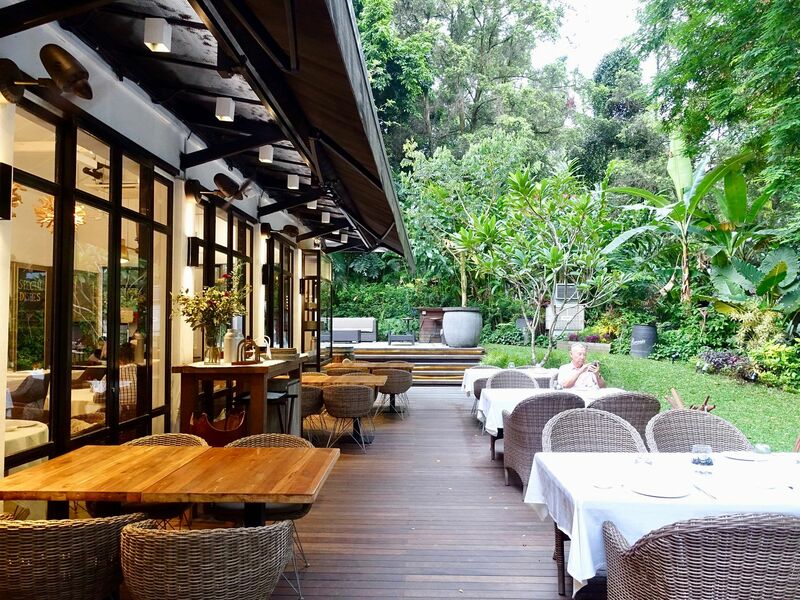 Their 4-course lunch is rightly priced at $50/pax while tasting menus start from $108/pax. 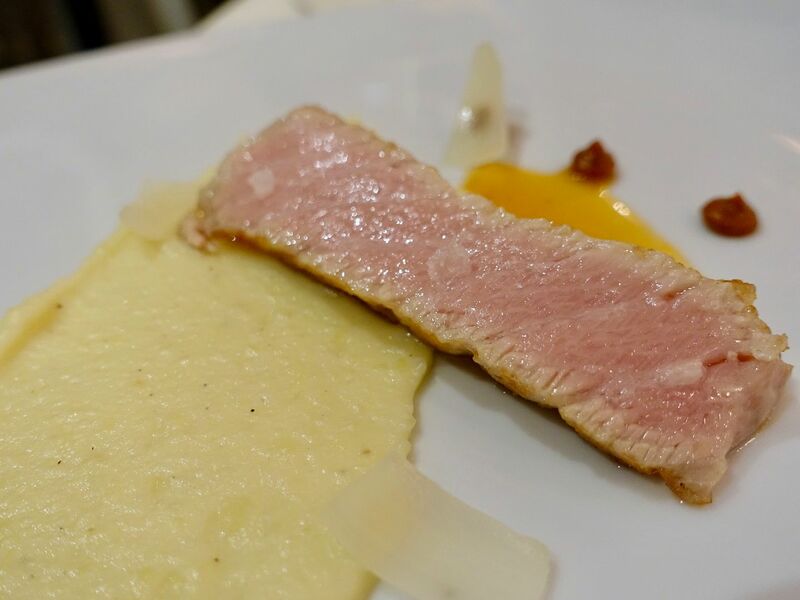 We sampled a few items, some of which are on the tasting menus. A cold Carabinero Prawn Salmorejo Soup ($19) brought me back to that rainy night in a hole-in-the-wall Madrid tapas bar. La Ventana's tomato soup is a lot punchier with a distinct raw onion bite to it, which could have been better toned down. The spiciness was reduced by the refreshing cubes of watermelon, a slice of olive and a random grape. I thought the prawn was going to be the surprising element to this classic dish but it only played a decorative purpose. 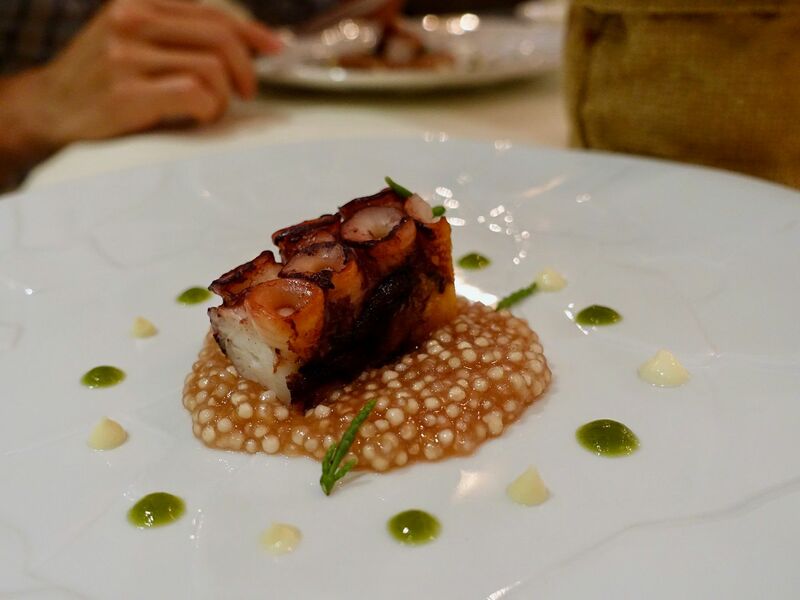 The disappointment was forgotten when the Octopus with wasabi mayonnaise and tapioca balls ($28) arrived. The tentacle was so tender and i could remove the suckers with the push of my fork. The flavor of the octopus was amazing but it got a little tired as it was all the flavor you'd get on this plate. The tapioca balls (or sago/pearls) are also cooked in the octopus jus. 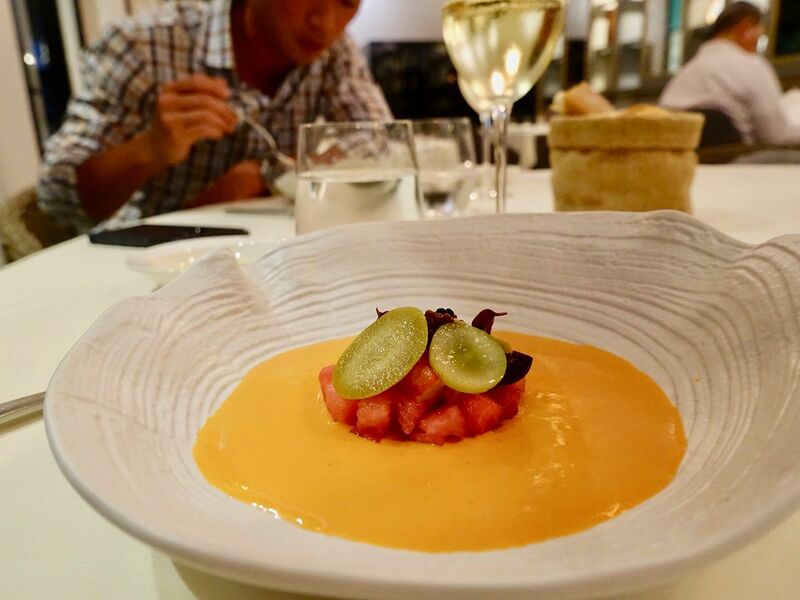 There was hardly a hint of wasabi to cut through the briny seafood, which was a waste because the touch of spice could have elevated this dish. Next, the Tuna Belly with Peppers Broth & Toasted Garlic Parmantier ($51). Note that this is only a tasting portion and i'm sure you'd get a bigger slab for $51. 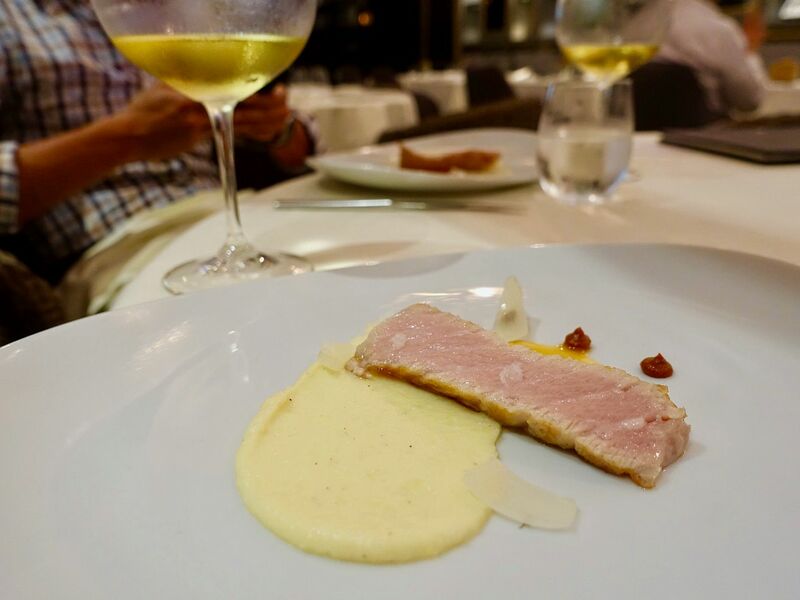 Just look at that gorgeous piece of marbled tuna belly! This is exactly like a piece of aburi chutoro and the creamy meat simply melted in our mouths. If you want to enjoy the natural flavors of the meat, i'd suggest you not smear any of the garlic potato mash on the fish as it would completely overwhelm it. 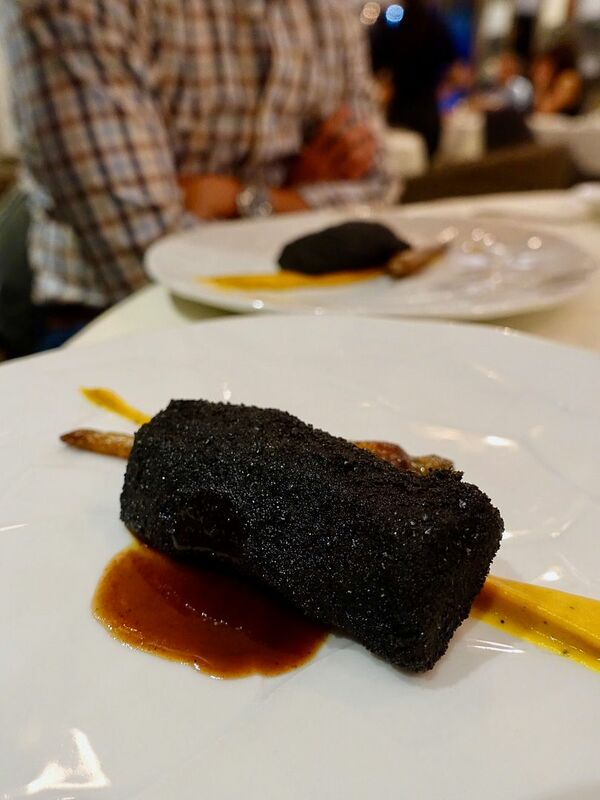 The one dish that was the most balanced is the Iberian Presa Charcoal-Fried, Carrot & Toasted Coffee ($44). Now it may look really meh and possibly dry, but an easy cut reveals a lovely juicy pink under the charcoal crust (made of ground squid ink puffed rice). Best fried pork cutlet I've eaten in my life. I can't quite describe the marinate except that it tastes a little Asian (it reminded me of five-spices but not quite). The salty sweet pork was complemented with a smoky caffeine coated carrot which had a lovely cocoa bitterness. Definitely a must have at La Veneta. We must have our sweet ending but we don't like it cloying. La Ventana's Carajillo ($18) sweetness comes from the hot brandy-espresso. 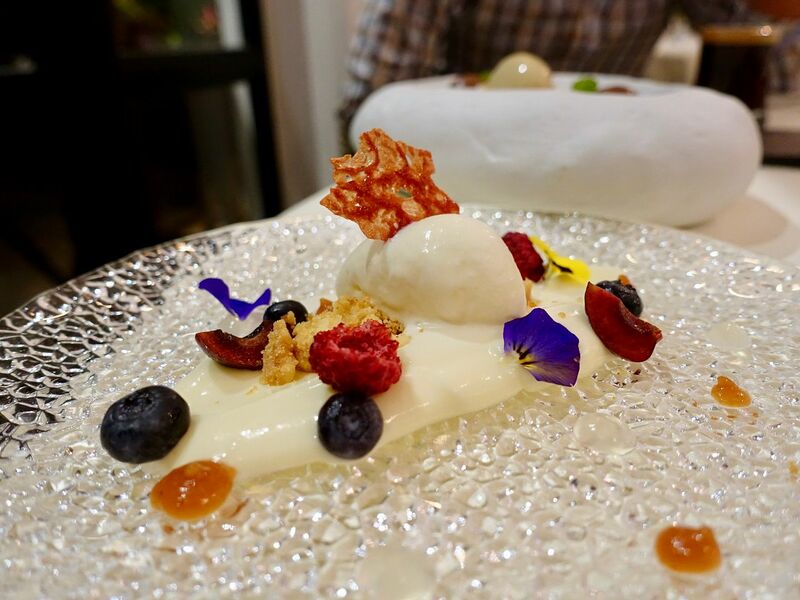 The brandy brought out the sweetness in the plated dessert made using the same ingredients. Boys would like this one. I preferred the Cheese Ice-cream, White Chocolate Cream, Quince & Honey ($17). Pretty sure this is a better cheese dessert than Cheese tea from you know where. 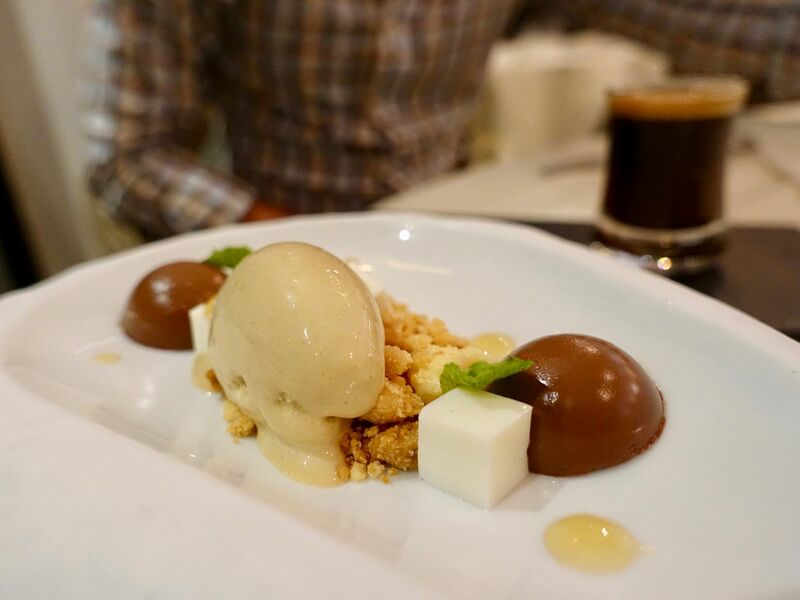 There's a light saltiness from the use of parmesan in the ice cream and it is perfect with the buttery crumble. We enjoyed our meal at La Ventana even though some tweaks could be done to bring the dishes to the next level. The wines are pretty good too- we had the 2010 Bodegas Julian Chivite Navarra Coleccion 125 Blanco and the 2011 Contino Rioja Graciano Variedad, both recommended by their sommelier. Make sure you get him to recommend you something.